A new month within the AFOL community usually brings new challenges and contests, and I am personally rather excited for this new offering sponsored by SLUG from Saskatchewan! 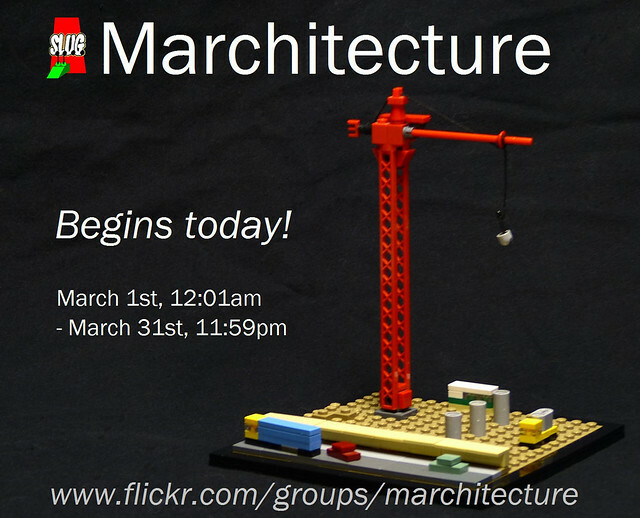 Marchitecture challenges us to build a microscale version of a real world building, in the style of the official TLG Architecture sets. Full contest rules can be found in the Flickr group. First prize is a copy of 20128-1 New York City, so get building!